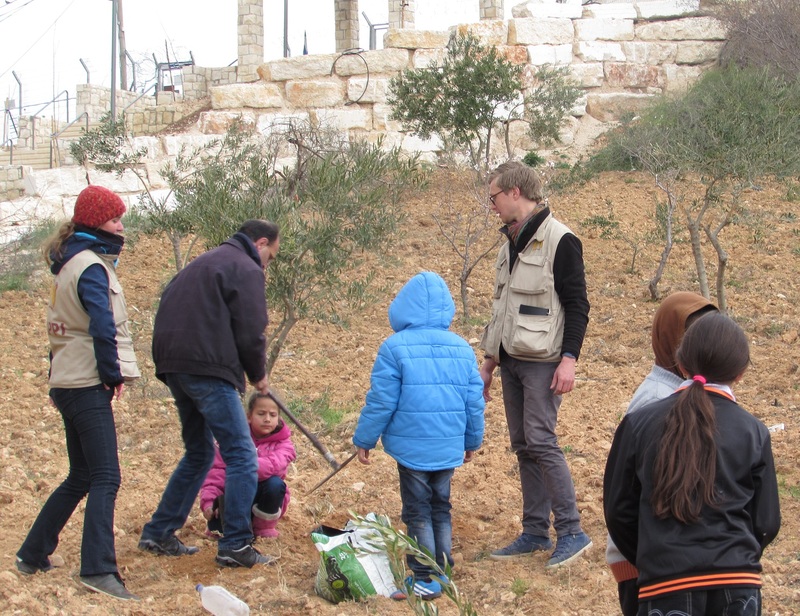 Friends and internationals gathered today to plant olive saplings in a Palestinian orchard in Wadi al Hussein. The 25 one-year-old trees replaced mature trees which were damaged by last month’s winter storm in Al Khalil. The orchard belongs to a Palestinian family whose land is now surrounded on three sides by the illegal settlement of Kiryat Arba, and who face daily the threat of settler violence and the potential loss of land due to increased settlement expansion. Wadi al Hussein is a valley cultivated and owned by Palestinians which is now squeezed between the settlements of Kiryat Arba and Givat Ha’abot, both of which are illegal under international law. Recent settler expansion includes the construction of a new road from Kiryat Arba and the attempted takeover of the Al Rajabi building at the southern entrance of the Kiryat Arba settlement. In 2007 a group of 200 settlers invaded the building and occupied it, claiming to have purchased it. In 2008 the Israeli Supreme Court recognized that the settlers’ ownership deed to the house was forged and ordered them to vacate the building pending a final decision. The settlers responded with violence, injuring 25 Palestinians, damaging seven cars and vandalizing three homes in Wadi al Hussein. The court has not yet announced a final decision. Both the new road and the takeover of the Al Rajabi building are part of an effort by settlers to link the five illegal settlements in Al Khalil, making life intolerable for Palestinian homeowners whose land and homes would be cut off from the rest of the city. 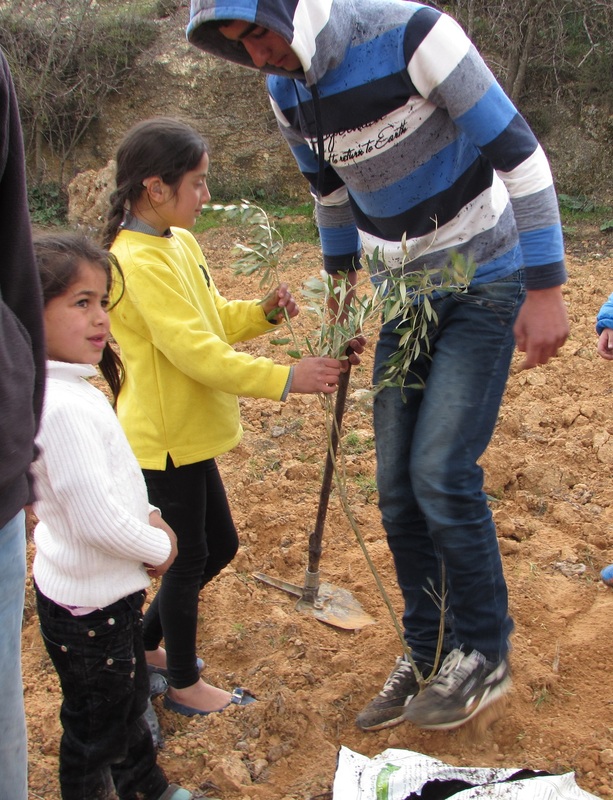 This entry was posted in 'Al-Rajabi Building' Project, Al Khalil, olive trees, Settler violence, Uncategorized. Bookmark the permalink.